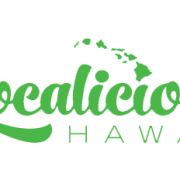 Hali’imaile General Store is pleased to be participating in Localicious Hawaii 2016 to benefit the Hawaii Agriculture Foundation. 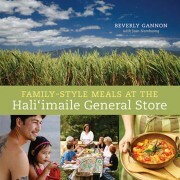 Dine at Hali’imaile General Store between March 1-31, 2016 and for every order of the special entree, Furikake Ahi & Coconut Shrimp with Molokai sweet potatoes, baby bok choi, lemongrass-ginger butter and mango chili sauce, $1 will be donated to HAF’s Veggie U educational program. For more information about Localicious Hawaii 2016, Hawaii Agriculture Foundation and Veggie U, visit their website at www.hawaiiagfoundation.org/events/localicious-hawaii. Chef Bev Gannon will be participating in the Hawaii Wine & Food Festival 2016 which will be held October 14-30, 2016 on Hawaii Island, Maui and Oahu. The Hawaii Food & Wine Festival is the premier epicurean destination event in the Pacific and takes place over two weeks featuring a roster of over 100 internationally-renowned master chefs, personalities, and wine and spirit producers. 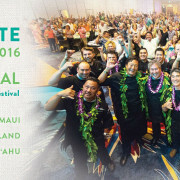 C0-founded by two of Hawaii’s own James Beard Award-winning chefs, Roy Yamaguchi and Alan Wong, the festival will showcase wine tastings, cooking demonstrations, one-of-a-kind excursions, and exclusive dining opportunities with dishes highlighting the state’s bounty of local produce, seafood, beef and poultry. For more information visit the Hawaii Food & Wine Festival website. We will be offering a special 4-Course Prix Fixe Valentine’s Day Menu on Friday 2/12, Saturday 2/13 and Sunday 2/14 for $72 per person (each item is also available a la carte and price is listed. This is in addition to our regular dinner menu. 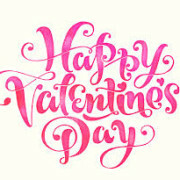 Book a table now for you and your sweetheart (or best friend). Best Fine Dining and Best Server on Maui by Maui Time Weekly!